In 2016, we had a baby, DPR. We expect that DPR will go to college one day, largely because we are over-educated and we expect her to follow in our footsteps to some extent. We want to contribute some money to said college education, although not necessarily pay for all of it. Our parents paid for most of our college educations, which was a great leg up financially as young adults. Funding some of DPR’s college education is paying that forward. Given this amorphous goal, we initially thought we would open a 529 (in one of our names) and invest a bit of money for DPR’s future college expenses. We researched in which state to open the account (Washington has no state income tax and therefore no 529 benefit) and what investments we would choose for this two-decade goal. We started setting money aside in a savings account in anticipation of contributing it to a 529. We have contribution room available in our Roth IRAs and Roth 401(k) above what we want to save for our retirement (18% of Kyle’s income). (Plus, we haven’t contributed any money to Kyle’s terrible 401(k).) Instead of contributing to a 529, we could contribute additional money to the retirement accounts. 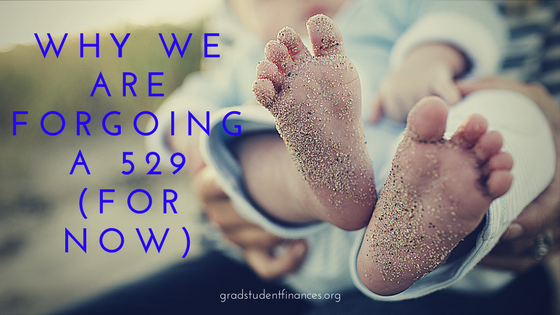 We don’t need the 529 account at this point as an additional tax-advantaged account. The big upside to staying more flexible is that if DPR doesn’t need lots of money for college, the money can stay invested and tax-advantaged for our retirement. While I’m not counting on DPR getting a massive scholarship, I am curious to see how higher education costs change over the next couple decades. I’m hopeful that higher education will be disrupted and costs won’t continue to inflate at their recent rate. As of now, the way 529 assets and retirement account assets are considered for financial aid for college are different. If we use money from a Roth IRA for college expenses, it counts as income and might decrease any financial aid awarded in the subsequent year. But if we sufficiently over-save inside our retirement accounts, we will have the option of decreasing or forgoing retirement savings during the college years in favor of cash flowing the college expenses. So basically, we are contributing a bit more to our retirement accounts at their same allocation with the expectation that we will help DPR with her college expenses flexibly when the time comes. We’ll re-evaluate the asset allocation as the date for drawing on the finds grows nearer. As we run out of contribution room in our retirement accounts, we will reconsider diverting savings into a 529. 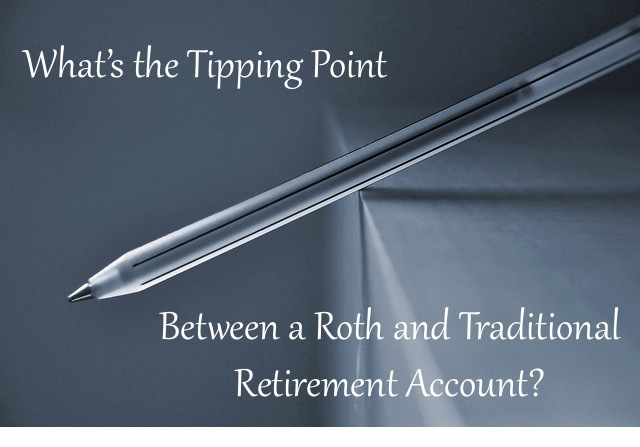 Are you using your Roth IRA for any savings other than retirement? What’s your plan for helping your kids with college? 13 Responses to "Why We Are Forgoing a 529 (for Now)"
Definitely max out your retirement before contributing to 529s. That will also help your financial aid calculations when you get to college. If I’d known we were eventually going to be high income, I would have definitely used more of my retirement account room before starting on the 529s, but we did max save 20% for retirement before doing the 529s. Thanks for your insight! I have no idea what our income will be by the time DPR heads to college. I’m happy to have the 529 as an option, though, once we do max out our retirement accounts. 529s that are going to be for a kid should generally speaking be opened in their name, not yours. This is because if you change the beneficiary of a 529 to that of a lower generation, the entire 529 balance is subject to a gift tax (which, depending on the amount, may be at a 0% rate). Every year, between every gifter giftee pair, $14k can be gifted without any taxes owed. If either the gifter or giftee is married, then it’s $28k. If both the gifter and giftee are married, then it’s $56k. Anything above this amount reduces your lifetime estate maximum exclusion. which starts at $5.8M for single people or $11.6M for married couples. When you die, your estate is subject to the estate tax of ~40% after the exclusion amount is applied. With a 529 gift (and any contribution to your kid’s 529 is a 529 gift), up to 5 years of 529 gifts can be front loaded into one year. So $140k could be front loaded into one year from a married couple. With the large amounts involved and the fact that you aren’t necessarily planning on paying for all of DPR’s education, you likely wouldn’t have actually paid any gift tax. Still though, it’s good to know if other people are asking for advice on 529s. By the way, have you looked at the simplified and automatic zero EFC formulas for FAFSA? I’ve got a post drafted on that. It’s pretty crazy actually – it’s possible for an early retiree with $1M+ in assets to get an automatic zero EFC. Thanks for your comment! I didn’t realize that gift taxes applies for 529 accounts. It does make sense that it wouldn’t matter for most people, so maybe that’s why it’s not mentioned much. I haven’t looked into how the FAFSA EFC is calculated in detail. Your post sounds very interesting! We’re not planning to be FI by the time DPR goes to college although we’ll see – that’s still a long way from now. Kyle wasn’t offered any financial aid so he is kind of assuming DPR won’t get any either, although I have been perking up my ears whenever I hear that universities offer zero EFC with incomes below a certain level. Calculators are useful, but people should still be aware of the formulas. Assume a self employed married couple with a AGI of $110k and one kid living in CA. Their EFC, assuming they have no savings, is $19,862. Any additional non retirement assets gets added to EFC at 12% – so $40,000 in savings increases EFC by $4800. Their marginal federal, state, and FICA tax rates are 25%, 9.3%, and 15.6%. If you go through the formulas for the EFC, you’ll discover that the marginal rate on income that is contributed to the EFC is 47%. Assuming that the student goes to a school that costs more than $19,862 (and hence, will get aid if they adhere to the EFC formula and don’t gap the entire difference), then the marginal “tax” rate on income from working for this couple is 96.9%. Talk about a disincentive to work harder. This couple should definitely scale back on how much they’re working. Most private (expensive) schools don’t use the FAFSA formula. They have their own. Forbes has a series of articles on the topic. Regardless of whether most private (expensive) schools use the FAFSA formula or not (which I already acknowledged when I said IF they adhere to the EFC formula), my point still stands that while calculators are useful, people should still be aware of the formulas. Whatever formula the private (expensive) schools use, they will expect some percentage of income to be contributed to the cost of education. This affects things like how much a parent should be contributing to their 401k, if they should pour more hours into trying to get that raise, if they should try to find more shifts at work, etc. 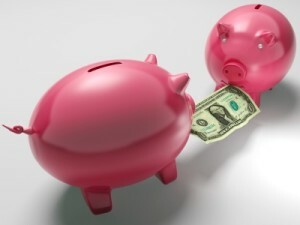 This seems like a great plan – it really does make more sense to maximize retirement accounts before contributing to 529s, as you figured out while writing this post. I hope it’s the right thing to do for now! I feel bad not having savings set aside for DPR explicitly. But I can always keep track of “her” fraction of the accounts in my own books. This is an excellent article that presents an excellent point – unless you really need the extra tax advantage gained form a 529 (or similar) account, there’s no point in putting your money into such a niche investment vehicle. The world is changing and that includes education. No one knows what the academic or the working world will look like in 20 years – it’s possible that the entire system will be different and today’s heavy college costs will seem like an archaic thing of the past in light of much more flexible education schemes. 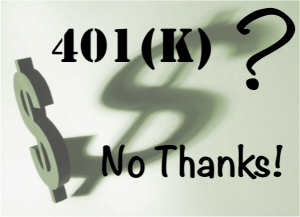 Putting money into a 401k and an IRA first is the best idea – if you’ve maxed those out then a 529 might be a good way to put some more money aside tax deferred or tax free.